The album might not be released for a few more days, but tonight, Mr. Del is holding his official CD release party at Madison Line Records in downtown Memphis! 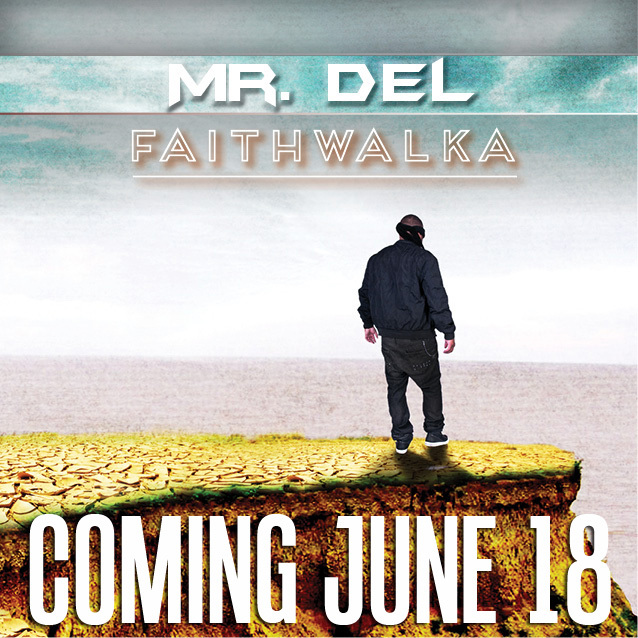 Doors open at 8 p.m. tonight and Mr. Del takes the stage at 9 p.m. to wow the crowd with some new music off Faith Walka. Mr. Del, formerly of Three 6 Mafia, rededicated his life to Christ in 2000 and decided to promote righteousness rather than sin. Leading with the singles “My God” and “Sunglasses,” Faith Walka is full of tracks that bring a different approach to the gospel. Touting his musical style as “holy hip-hop,” Mr. Del seeks to introduce the gospel to audiences both young and old everywhere through his performances and albums. Be ready to hit the red carpet tonight at 8 p.m. sharp outside Madison Line Records, as admission will be limited for this exclusive performance. Check our Facebook event page for more details!